Chipta - the best value ticketing service. Use our barcode scanners for free. The low cost ticketing service, providing free scanners and the best service. No fixed contract, retention based on satisfaction. 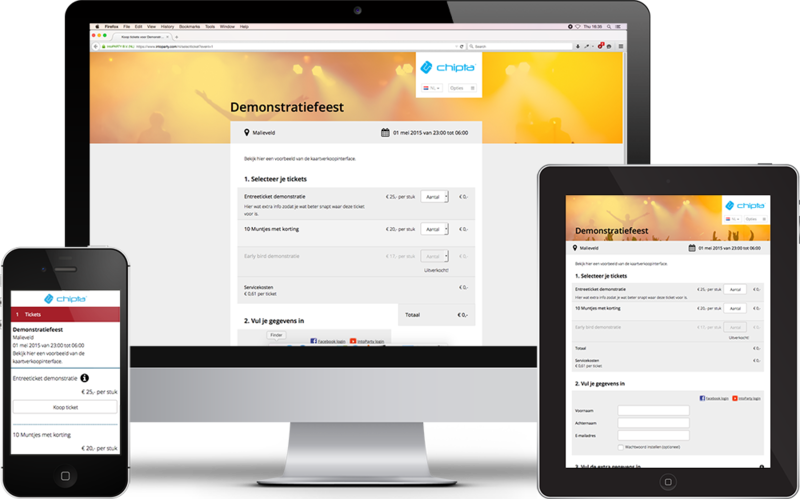 With Chipta you get your presale up and running in no time. Sell through your website, Facebook page, on smartphones, tablets or PCs. We'll give you the best deal on the market. Our service is free for organizers and your visitors pay the lowest fee in the market: €0,50 (excl. VAT)! Only €0,50 service fee per ticket (excl. VAT). Ticket sales through a modern ticket shop. Comprehensive statistics of your ticket sales. Free support from our staff. Using our services is always without obligations and you are not bound by a contract. Treating our customers with respect is one of our key priorities. When using our systems you'll get free support from our staff. Also we're happy to customize our systems to your needs. 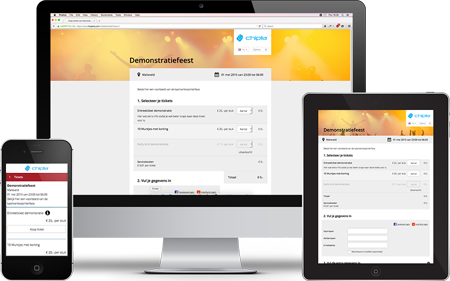 You'll sell your tickets from a customized Ticket Shop which works on smartphones, tablets and PCs. You can integrate the Ticket Shop in your website or Facebook page, or you can place a direct link. At last your visitors can order their tickets in an easy and convenient way. 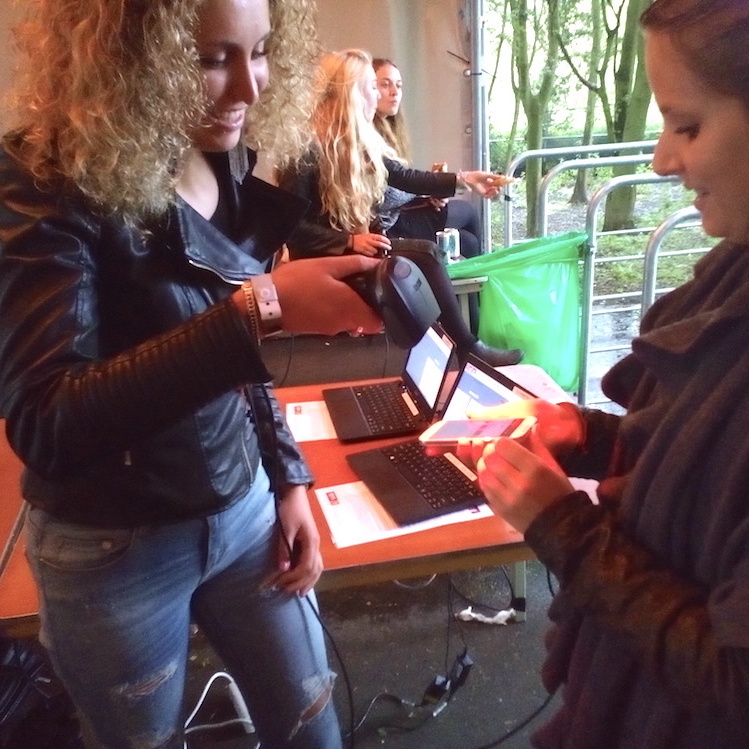 With the help of our free scanners you can effortlessly scan the tickets of your visitors. Tickets don't necessarily have to be printed out; they can also be scanned from the visitor's smartphone. 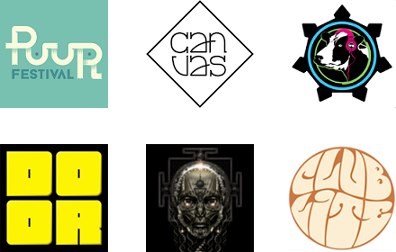 Every organizer will be guided by our expert staff to make the presales of your event as successful as possible. We believe that good collaboration is the key to a successful event, that's why we always make an effort to make our collaborations as pleasant as possible. All scanners for use at the entrance are free. You are not bound by a contract. You'll be paid out within a week of your request.